Some big names have suffered during the worst retailing conditions for years. 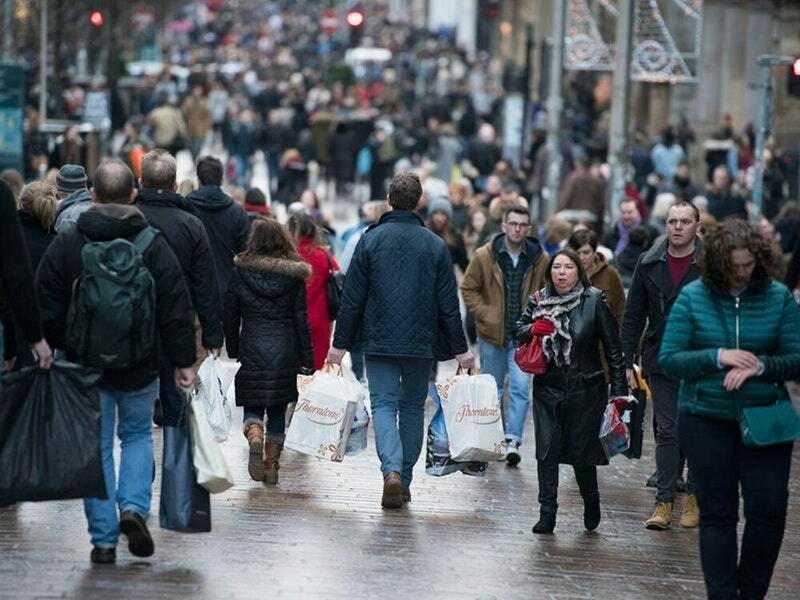 Around 14 shops are closing on Britain’s high streets every day, according to a new study. A study of 500 high streets by accountants PricewaterhouseCoopers and the Local Data Company found 2,692 stores had vanished in the first six month of the year. Here are some of the major names to suffer during the worst retailing conditions for five years. The department store chain announced plans to close 50 branches in October, accelerating an existing disposal plan after it made a record annual loss. The posh burger chain has revealed plans to close 17 of its 85 restaurants after tough competition took a bite out of its performance. Other restaurants that have undertaken company voluntary arrangements so far this year include Carluccio’s, Byron, Prezzo, Gaucho and Jamie’s Italian. The department store fell into administration and was bought by Sports Direct founder Mike Ashley. He has said he will aim to keep 47 of the 59 stores open, with three closures in Edinburgh, Hull and Swindon already announced. High street stalwart M&S is to shut 100 stores by 2022 in a radical overhaul of its estate. Profits at the company have slumped by almost two-thirds due to the costly closure plan combined with a decline in sales across key departments. The DIY chain is set to close 80 stores, hitting up to 2,000 jobs. It follows a botched takeover by Australia’s Wesfarmers. Called in administrators in June in a move affecting 5,100 jobs. The business was hit by falling footfall, alongside rising costs and weak consumer confidence. All stores have now been closed. The toy chain went into administration on the last day of February after failing to find a third-party buyer. It came after HMRC sought to recover £15 million in unpaid VAT and this finally tipped the company into administration. One of the UK’s biggest electronics retailers collapsed into administration on the same day as Toys R Us after talks with buyers failed to secure a sale. The ailing baby goods and maternity retailer will close 50 to 60 stores as part of a planned turnaround. The embattled flooring firm is embarking on a store closure programme, also part of a restructuring, after announcing heavy losses. The clothing chain announced earlier this year it would close 60 UK stores and cut 1,000 jobs as part of a financial restructuring. The major drinks and off-licence supplier, which owns Wine Rack and Bargain Booze, went into administration in early April. The company had grown too quickly by merger, there were a series of profit warnings and a £30 million tax bill for which Conviviality was forced to ask for extra funds from investors – who refused. The bed, mattress and furniture retailer in London and the south-east went into administration one week after putting itself up for sale. The company, known for its ethical stance, had been losing money for some time under the pressure of rising costs and shrinking customer spending. The owner of Jacques Vert, Windsmoor, Dash and Eastex fashion brands, which ran about 300 UK concessions in stores including Debenhams and House of Fraser, went into administration at the start of May. Bosses said inflation and wage freezes had been a driving force behind decreased spending. The firm behind fashion brand Joe Bloggs and the retailer that designed the wedding dress for Diana, Princess of Wales, collapsed into administration in January. Although the group made profits, it had failed to make inroads into the fashion market. Womenswear retailer Coast went into administration in mid-October, impacting 300 jobs at 24 stores. But sister brand Karen Millen bought out parts of the business, rescuing around 600 jobs at 145 department store concessions.